You Want to Hear What I Discovered?. 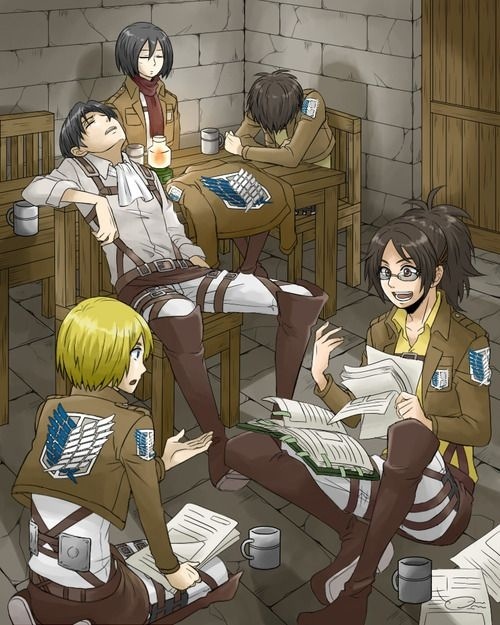 Takes a whole night.... Wallpaper and background images in the Shingeki no Kyojin (Attack on titan) club tagged: photo levi armin hange mikasa eren snk. This Shingeki no Kyojin (Attack on titan) fan art contains living room, living room, sitting room, front room, parlor, parlour, sign, poster, text, and chalkboard. There might also be family room, dressing table, dresser, vanity, toilet table, and den.